Why we chose to release our new album "Don't Let Go" in cd format and not just as a digital download. It was just a few years ago the word on the street was CDs are dead. Well today there could be some truth to that. Many music artists are releasing their albums in digital download format only. You can say this makes sense in the age of iTunes, Amazon, all the different music streaming services, etc. We're finding a lot of people don't even own a CD player. For us, it's not just about the way a vast majority of the public listens to their music, but instead it's a bit more personal. You see with us, it's about the real music lover. And as music lovers we feel that you are actually diminishing recorded music when you limit an album to only being available on a hard drive or the cloud which is the same thing. The cd like vinyl is something tangible, you hold it in your hand, admire the artwork, read the credits, add it to your collection and so on. Believe it or not this means something to the many connoisseurs of good music. So we are giving the people a choice. 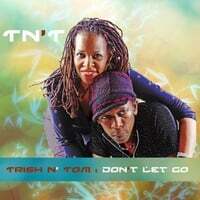 Our new album "Don't Let Go" is available both as digital download and compact disc format. We encourage you to check it out in whatever your format of choice might be.